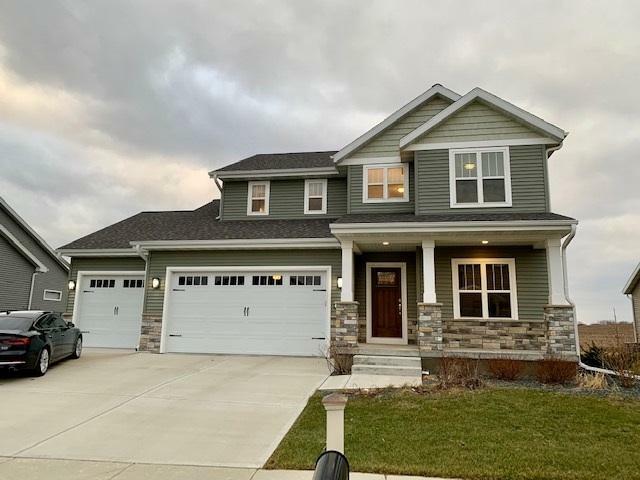 262 Hallmark Way, Sun Prairie, WI 53590 (#1848412) :: Nicole Charles & Associates, Inc. Parade of 2016. Quality throughout! 3 car garage, covered front entrance porch. Two story foyer, hardwood floors, fireplace & custom wood mantel. Large open concept kitchen features quartz countertops, walk-in pantry, 2nd floor laundry, master suite w/oversized walk-in closet, walk in shower & dual vanities in both bathrooms upstairs. Listing provided courtesy of Pointe Realty Llc.